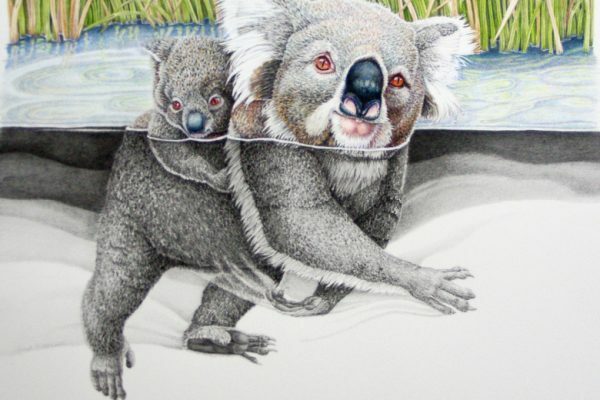 Janet Matthews – Queensland Wildlife Artists Society Inc.
Janet (Dip and Grad Dip Vis Arts, WASF, AGRAF.) is a multi-award winning artist exhibiting regularly in Australia and overseas. She has completed commissions for Australia Post, with stamp images and has work in the “Focus on Nature” permanent collection of the New York State Museum. 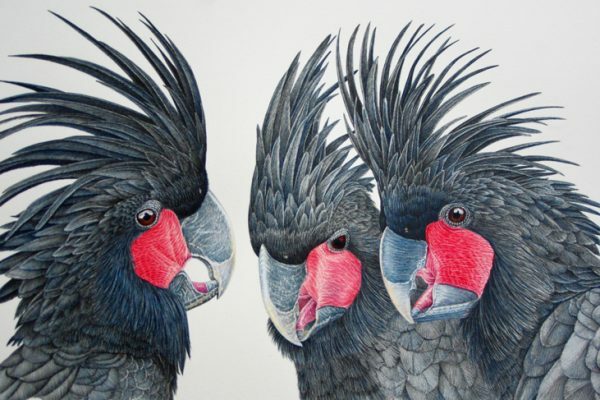 Janet is a Fellow of the Wildlife Art Society of Australasia and a Fellow of the Australian Guild of Realist Artists. Janet has been working with pencil for all her life, specialising in the medium and promoting her passion for Drawing and Pencil Painting. 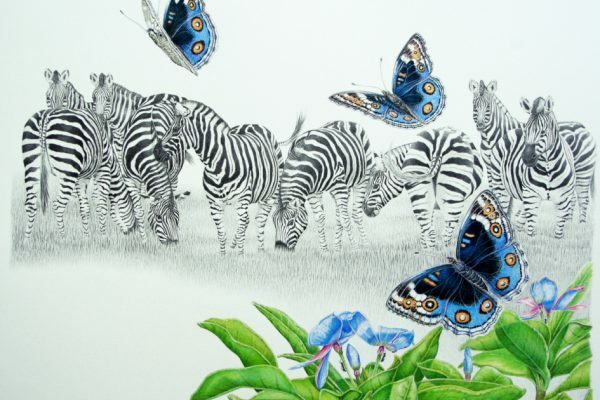 Janet has an individual style of combining coloured pencil and graphite, which has been described as “weaving magic with pencil”. Each work is a combination of both mediums, some with a lot of colour and others being greylead with a touch of colour in the focal area; creating an alive, unique and appealing subject. Janet’s work is full of beautiful detail, are always of a high standard and reflect her own personality, humour and life experiences. Animals and Birds are her focus, especially native Australian creatures. Her works have won many awards, are held in high acclaim and have justifiably placed her in the forefront of artists using her chosen medium. She shares her eperience and knowledge by running specialised workshops in colour pencil all over Australia, as well as classes from her studio in Narre Warren North, Victoria.